27.5 vs 29 - Why it matters less than you think. - Eastside Cycles Boise is your East Boise Idaho's Bike Shop. 27.5 vs 29? is a question we see more of our customers fret over than almost any other. There seems to be something so foundational about wheel size; it is as if there is an expectation that bikes with different wheel sizes must be dramatically different from each other. The bike industry has hyped this up so much that wheel size isn’t just a characteristic of your bike, it says something about who you are. Of course this is all complete and utter nonsense. Whether your bike has 27.5 vs 29 inch wheels is really not that big a deal. Sure there are differences between the wheel sizes, but they aren’t so severe to make one uniformly superior and the other obsolete. 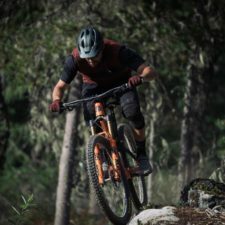 This is why we were so glad to see EWS pro Remi Gauvin and Rocky Mountain’s Thomas Vanderham put the wheel size issue to bed. 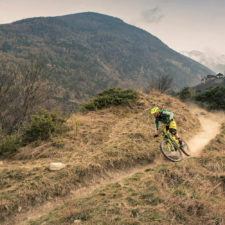 The comparison is between the new Altitude and the Instinct BC (we discussed Pinkbike’s rave review here). Both bikes have about the same travel and geometry – so what better way to isolate wheel size. Like any of these tests, they are hardly scientific and the sample size is way too small to draw any significant conclusions. At the same time, however, the opinions of two of the worlds most talented riders probably makes up for whatever is lacking in scientific rigor. The video makes three amazing points. First, I will never be able to ride like either Gauvin or Vanderham. Heck, I probably will never be as fast as Rocky’s product manager. Second, 29 inch wheels are faster; they just are. Third, going fast isn’t the only thing that matters; If you have more fun on a 27.5 bike, its the better bike for you. What’s the moral of this story? When it comes to 27.5 vs 29 inch wheels, don’t sweat it too much. If you’ve already made up your mind as to what you like, stick with it. If you’re unsure or just want to try something new, ride a couple bikes and see what you like. 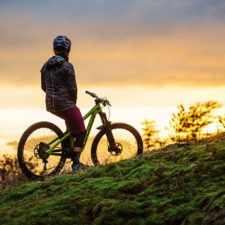 As always you can swing by the shop and we’d be happy to answer your question’s or set you up on a demo bike so you can experience the difference yourself.